Having returned from Germany with a 2-1 win, Real Madrid will feel they have one foot in the Champions League final for the third season in a row. They’ve had a disappointing league campaign, but there’s no doubt Zinedine Zidane’s team have been European masters in recent times. Since their last Champions League final in 2013, Bayern Munich have fallen at this hurdle in three of the past four seasons. History suggests they have a lot of work to do if they are to reach the 2018 final. In the past 14 seasons, there have been just four semi-final first leg matches where the away side won, but they all made it to the final. In fact, a home side hasn’t lost the first leg but reached the final since Ajax did so in 1996. It’s no wonder Real are hot favourites to qualify, and they’re available at 5/19 to do so with Redbet. For Bayern to reach Kiev on May 26, their first order of business is to score two goals. Jupp Heynckes’ team can at least take heart from the knowledge that both Dortmund and Juventus have already done so at the Bernabeu in 2017/18, and deservedly so with four clear-cut chances and over two expected goals each. Bayern recorded those stats themselves in the first leg, so should have secured a better result. They know they can get at Real, even if it will obviously be tough to repeat in Spain. You can get odds of 20/21 with sportnation.bet that Bayern score over 1.5 goals. One thing which can help assist bettors for this match is that it is the most played fixture in the history of European competition. Bayern only have to look back 13 months for their last win at the Bernabeu in 90 minutes, albeit they went on to lose in extra time. That was also 2-1 after a defeat by the same score line at home, so will we see history repeat itself here? If you think so, you can get odds of 11/1 with Karamba for a 2-1 Bayern win. Whether we see yet another 2-1 away win in this fixture, it’s reasonable to expect there to be several goals. There have been nine meetings over the last 11 years, and all-but-one of them have featured at least three goals. The one exception did occur at the Bernabeu, but a crucial difference is that it was a first leg match. With Bayern needing at least two goals and Real capable of hitting them on the counter, a repeat of that 1-0 scoreline looks unlikely. Indeed, it’s only the sixth most likely outcome according to most bookmakers. 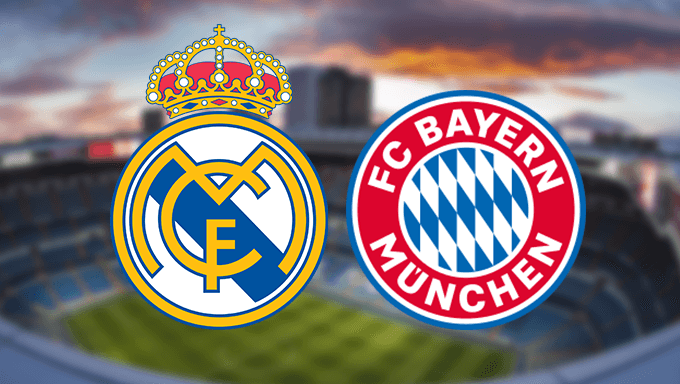 The German champions have seen at least three goals in all five of their away matches in the Champions League in 2017/18, and it has happened four times at the Bernabeu, so the bet has to be for over 2.5 goals. BetBright have odds of 4/11 for that eventuality. Should we expect both teams to score too? They have done in seven of the last nine meetings, so if nothing else then history says there’s a good chance they will both score. The last three semi-finals where the away side won the first leg saw both teams score in the return fixture too. The first leg losers rarely turn it around, but they certainly don’t go down without a fight. Both teams have scored in four of the five Champions League matches at the Bernabeu this season, with Apoel Nicosia the only side to draw a blank. The odds on offer show the bookmakers fully expect both teams to score, and I do too. Black Type’s odds for this outcome are 1/3. Cristiano Ronaldo drew a blank in Munich in the first leg, failing to score for the first time in the competition this season. He has however scored in his last seven Champions League games on home soil, bagging a stunning 13 goals across those matches. Real’s Portuguese superstar is the competition’s top scorer of both home goals and first goals in 2017/18, so he simply has to be the pick on their side of the market. Ronaldo is priced at 17/5 with 888sport to break the deadlock. Bayern’s top scorer is unsurprisingly Robert Lewandowski, but what is perhaps surprising is he has only found the net away from home once in Europe this season. However, while Thiago Alcántara may have done so twice, it’s hard to look past the Polish centre forward in the scorer market. 888sport are offering 6/5 that Lewandowski scores at any time. While Bayern have shown they will probably have chances, the match result is likely to be a home win. Matchbook’s odds for a Real victory are 10/9, and it’s hard to see any other outcome.